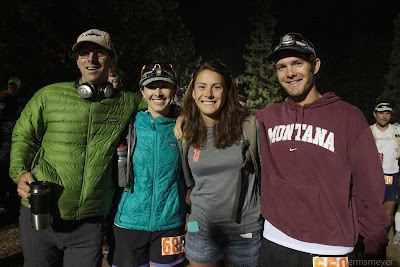 “Ten+ Questions with MTC” is our way of introducing Montana trail runners to the Montana trail running community. Do you know someone we should feature? Let us know! Also, become a follower on our RSS feed or like us on Facebook and Twitter to keep up with the latest Montana trail running action and help us grow our community! If you like what we’re doing, we’ll keep on doing it! 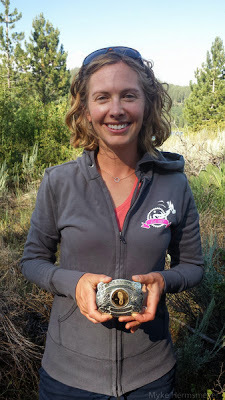 It is quite possible that Whitefish's Emily Judd knows Montana trail running as good as anyone. Between her Billings childhood and her current life in the Flathead, she lived in both Missoula and Bozeman. During the week, she's a public defender. On weekends, she’s an ultramarathon champion. Her remarkable list of victories includes both local and national caliber events such as Tahoe Rim 100, Wasatch Front 100, Bighorn 100, Elkhorn 50, Pocatello 50K, and Old Gabe 50K. She often trains with her boyfriend Brad Lamson and the ever-growing community of Whitefish endurance athletes. Emily, thanks for your willingness to answer a few questions and share some insight for our readers. First of all, how did you get into running? Through my family. My mom, dad and uncle ran when I was growing up so I started tagging along. We ran a lot of local races when I was younger. I ran through high school and college, but I didn't get into ultras until after college. I don't think I'd even heard of an ultra until my mom and uncle ran Big Horn. 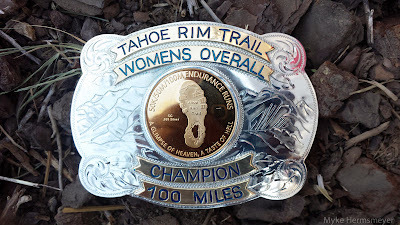 I ran the 30k at Big Horn and was hooked. The biggest challenge for me is racing where I am capable. I tend to run comfortably and underestimate my ability. Wasatch last year and Tahoe this year were really good for my confidence. I know now that I can go out more aggressively and maintain throughout the race. Wasatch 2012 still stands out as a career highlight. It was the first time that everything clicked for me. I spent most of the day catching up with friends and just enjoying the beauty of fall in the Wasatch. I felt good almost all day and was ahead of my 2011 time. 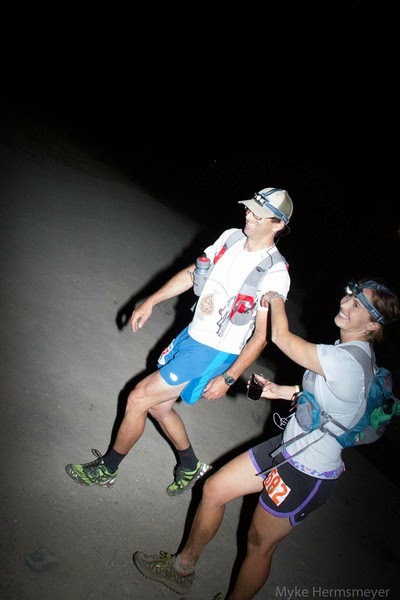 My boyfriend, Brad, paced me from Brighton to the finish. He's totally my voice of reason and really helped me out those last few miles. I ran over an hour faster than I thought I would. My parents crewed me and were waiting at the finish line. It was such a sweet moment and I am so happy that I got to share that moment with some of my favorite people. Working as a public defender, how do you manage your busy schedule? I absolutely love being a public defender and feel lucky that I get to do two of the things I'm most passionate about daily. To balance the two, I make running a priority. That means I'm at the office early or I'm back at work after a run, but I make sure I get out every day. Running helps me handle the stress! Whitefish has amazing outdoor access, so most of my training runs are on the local trails. I try to have one speed day per week on the track and then just moderately long runs the other days. Brad and I head to Glacier on the weekends for peak bagging and trail running. Such a hard question! It's hard to pick one race because every race is special in its own way. I love the beauty and remoteness of Big Horn and there's something magical about running in the San Juans. Old Gabe. It may only be a 50k, but it is tough! My favorite town run is running up Big Mountain here in Whitefish. You can get 7 miles of uphill, views of Glacier National Park and huckleberries. Since I started running, I've been inspired by my uncle, Steve Restad. He's not the fastest, but he is consistent and tough. I've never seen him complain or DNF, no matter how badly he's suffering. He's also very busy professionally, but finds the time to run and volunteer extensively in the community. I'm hoping the Hard Rock lottery gods smile upon me for 2014. I'd like to check out some new races and explore more in Glacier. Is there a chance we could see you competing in Montana sometime in the near future? I'll probably do a few Montana races next year, it always fun to do something short and fast. ED: A special thank you goes out to Myke Hermsmeyer for providing these and many other images featured on www.montanatrailcrew.com. We're huge fans of his work. See for yourself by viewing Myke's photography featuring Montana athletes and Montana races at www.mykejh.com.